What’s perhaps most unique about the vehicle we’ll be highlighting today is its incredibly long name. The vehicle in question is a 2014 Land Rover Range Rover Supercharged Ebony Edition, a special edition trim level of the popular luxury SUV that just happens to have a mouthful of a name. 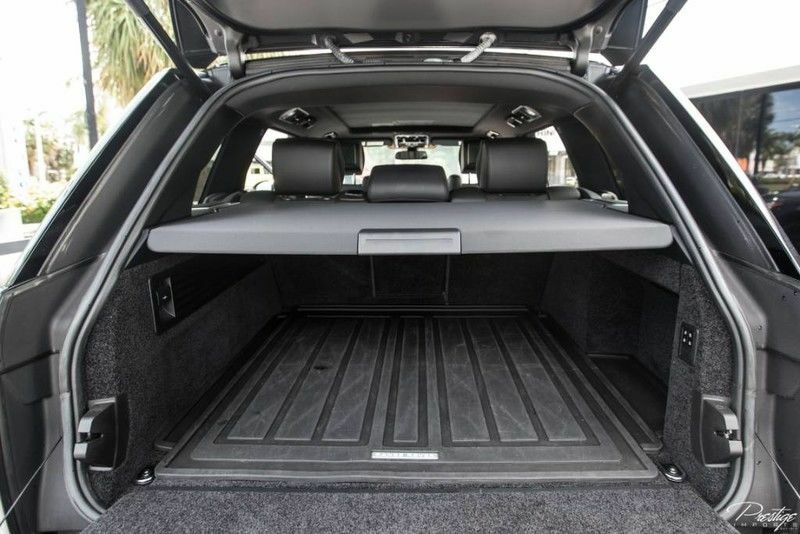 But that’s not what makes it exciting or luxurious, so we thought we’d dive into some of that information to give you a better idea of just what this vehicle has to offer that its name can’t quite convey, no matter how long it is. We don’t need to tell you how stylish the Range Rover Supercharged Ebony Edition is, you can see that for yourself with one glance at the above images. But what you can’t gather from those pictures is any information regarding the SUV’s specs & features, like performance or premium comfort. So, let’s start with power. Beneath the hood of this special Land Rover resides a 5.0L V8 engine, capable of doling out a whopping 510 horsepower alongside 461 pound-feet of torque. If those numbers don’t impress you enough, perhaps hearing a list of a few of the most exciting premium features will intrigue you. 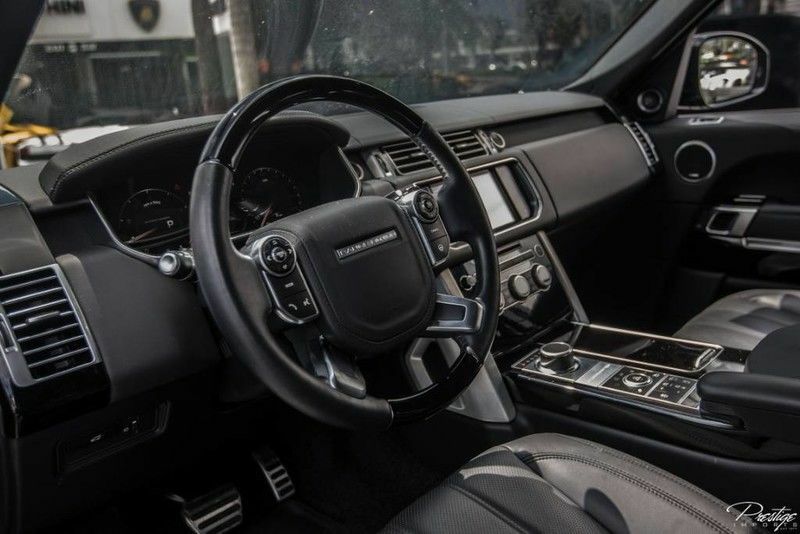 This Range Rover is outfitted with great bonuses like a voice-activated dual-zone front automatic air conditioning, a perimeter alarm, the remote keyless entry system, heated seats and steering wheel, a Meridian Audio sound system, and much more. 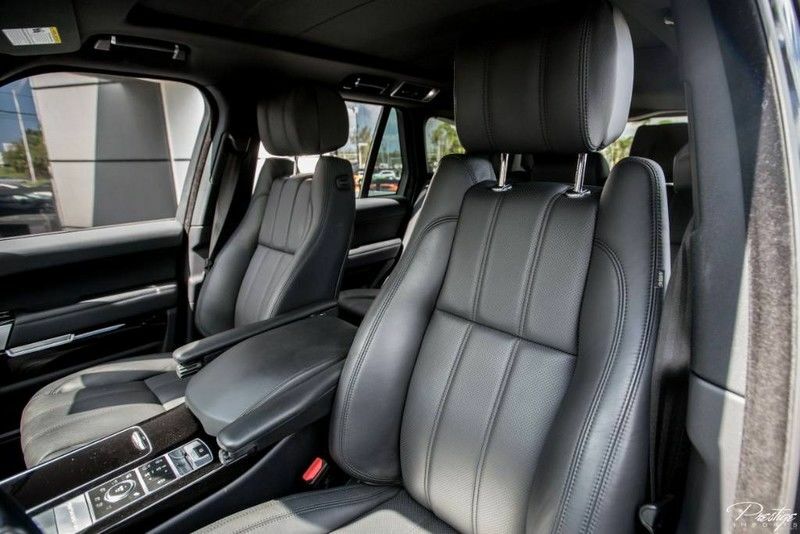 Is this 2014 Land Rover Range Rover Supercharged Ebony Edition the right SUV for you? Then be sure to get in touch with us right away here at Prestige Imports before someone else takes off in the driver’s seat! This entry was posted on Monday, January 22nd, 2018 at 4:10 pm	and is filed under Land Rover. You can follow any responses to this entry through the RSS 2.0 feed. You can skip to the end and leave a response. Pinging is currently not allowed.